TruForce Pest Control targets your problems instantly, giving you and your family needed peace of mind. 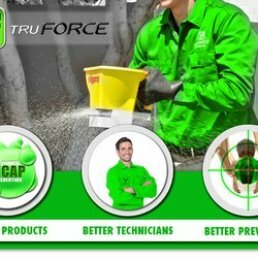 Even the most obstinate pest control problems are solved with TruForce Green Team expertise. We treat for 47 different pests! We share our wealth of knowledge with you in every pest control treatment. 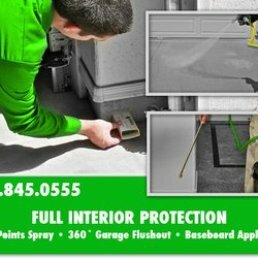 We give you the tools to ensure a pest-free environment. Customized Treatments To Address Any Needs. We start with a thorough inspection of your home and property, identifying problem areas and targeting existing and potential pest issues. Our technician will set up a convenient schedule of follow-up visits for further inspection and treatment. We’re knowledgeable about the pests that live where YOU do, and are equipped to eradicate them. YOU Are Critical To Our Success! 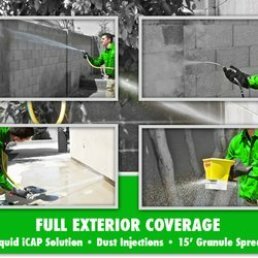 Every bug, pest or rodent needs the right conditions to thrive. Creating impediments and barriers to their pesky existence requires vigilance from homeowners. While our professional pest control technicians provide the expertise and firepower to eliminate pests, we’ll also back you up with a checklist for keeping them from re-establishing their nests. Teamwork is one of the big secrets of our success. People, Pet and Environmentally-Friendly Treatments.